Shepherd’s Pie is easily one of my family’s favorite recipes. It’s one that my kids always asked for when they were all still living at home. 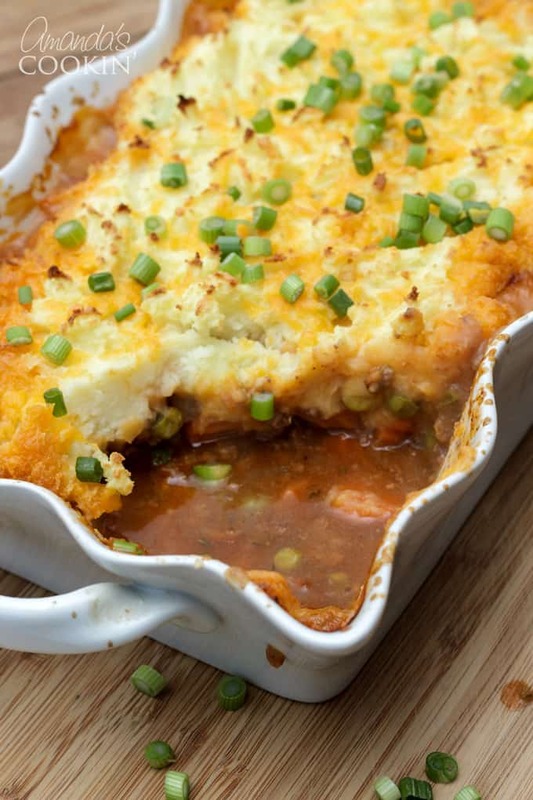 This recipe for Shepherd’s Pie makes a perfect casserole meal for any night of the week. 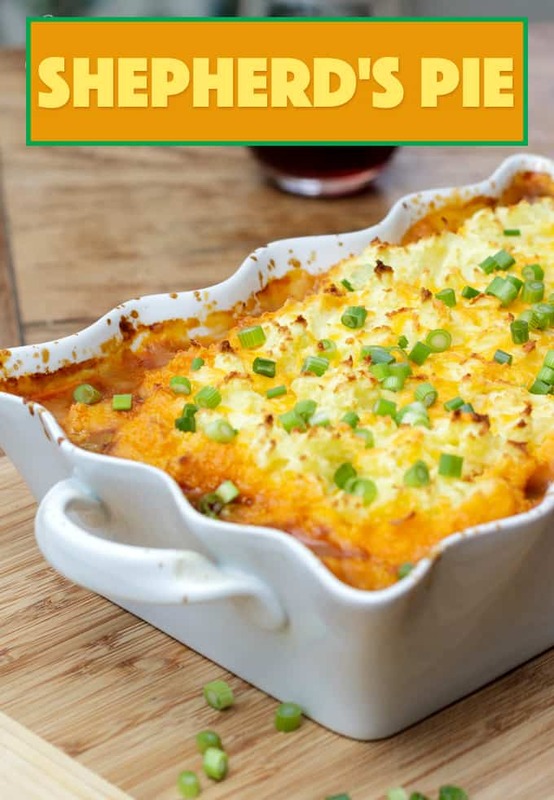 If you’re looking for a great ground beef recipe for dinner that’s filling and comforting, my Shepherd’s Pie will be a great addition to your recipe rotation! I’ve been making this Shepherd’s Pie recipe for my family for many years. Some would argue that this can’t be called Shepherd’s Pie because it doesn’t contain lamb. Americans have adapted the original meaning of the recipe title to suit a beef eating culture. You can read more about the history of Shepherd’s Pie below. The word shepherd is commonly misspelled as shepard. Did you know that there are actually over 300,000 Google searches each month for the misspelling and only around 74,000 that search for the correct spelling? Wild! An easy way to remember the correct spelling is that a shepherd is a person that herds sheep; a sheep herder, hence “shep-herd”. When I was a young bride the only recipe I knew was actually called Hamburger Pie and was made with ground beef, tomato soup and a can of green beans topped with mashed potatoes. Over the years I’ve made some adaptations to a few recipes to come up with my own. This is delicious. I’m very happy to have found a recipe that doesn’t include a condensed soup and does use fresh ingredients! I didn’t tell my family that I was using a different recipe and everyone seemed to like it. You know it’s good when they take a second helping! Note: This recipe has been on my blog since 2009, but I thought an update of photos would be appropriate! The recipe below is my adapted version. I had to change a few things from Ellie’s to suit our likes as well as adapt to what I had on hand. We buy our beef by the side, so my ground beef is probably 85% rather than very lean, therefore I eliminated the oil as it wasn’t needed. Years ago I used to remove the mushrooms as my kids wouldn’t eat them. These days I keep the mushrooms in! I also adjusted the red wine and chicken broth to my fresh beef broth. So as you can see this is a very versatile recipe. I’ve recently started adding peas and carrots as well, so I’ve updated the recipe to reflect that. I didn’t have any carrot, so I substituted zucchini. I also removed the rosemary due to a food sensitivity. In a large skillet, brown the beef until no longer pink. Drain off excess grease. Next, add onion, garlic, and zucchini and saute for 3-5 minutes. After that add the frozen carrots and peas and stir everything together. Add Worcestershire sauce and tomato paste. Season with thyme and cook for about 1 minute. Add broth and simmer until 10-15 minutes or until sauce has thickened. Taste and adjust seasoning. 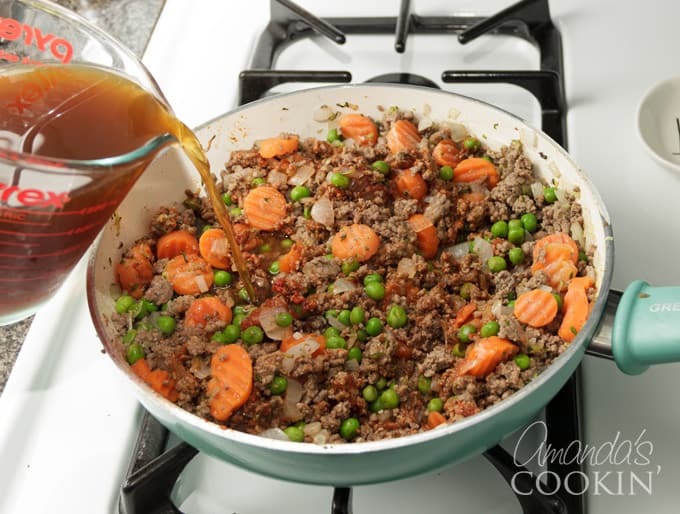 Transfer beef mixture to a deep casserole dish. You can use an 8×8 square pan, a casserole or you can make individual servings. Spoon mashed potato on top of beef. Sprinkle with grated Parmesan cheese and cheddar cheese. 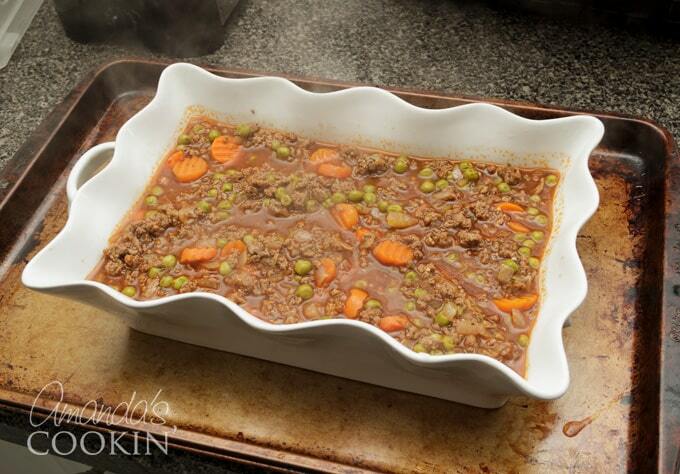 Place the dish on a cookie sheet in case it bubbles over while baking. Bake in a 375° F oven for 20 minutes or until top is brown and heated through. The sides may be bubbly. 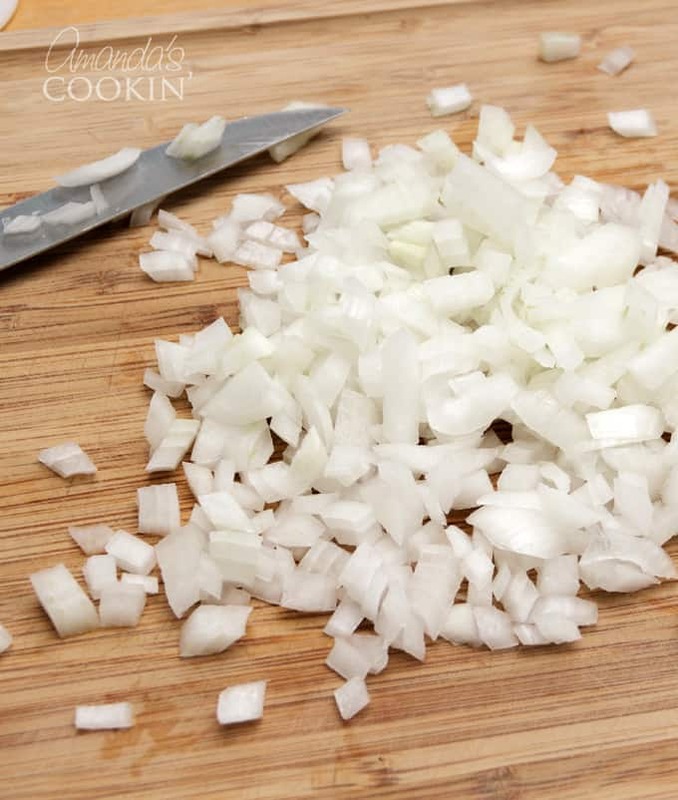 Garnish with chopped scallions. 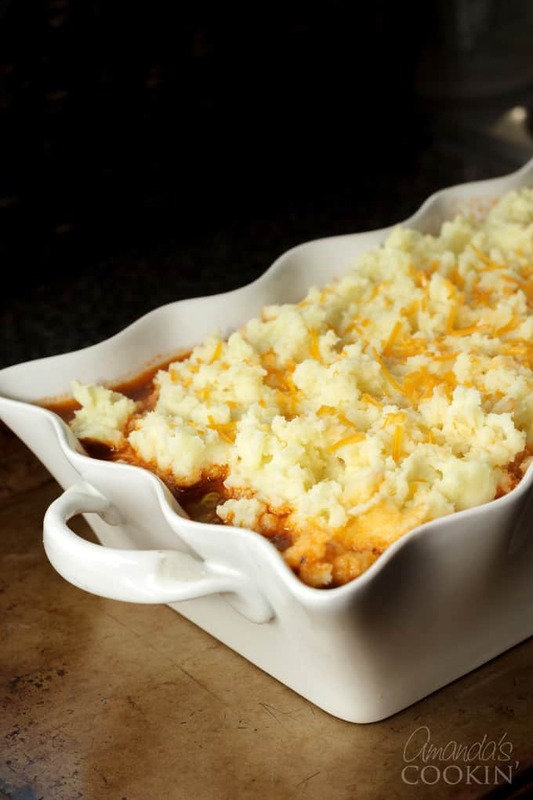 Cottage pie, also known as shepherd’s pie, refers to an English meat pie with a crust made from mashed potato and beef. 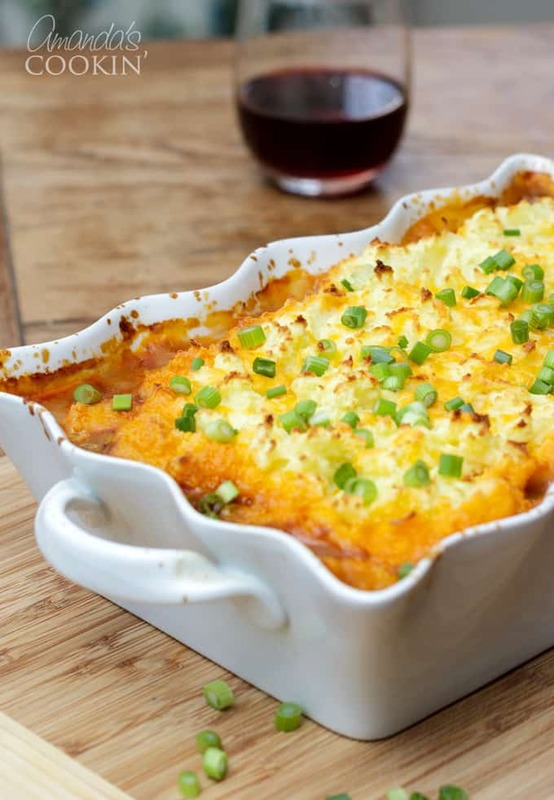 The term “shepherd’s pie” did not appear until the 1870s, and since then it has been used synonymously with “cottage pie”, regardless of whether the principal ingredient was beef or mutton. 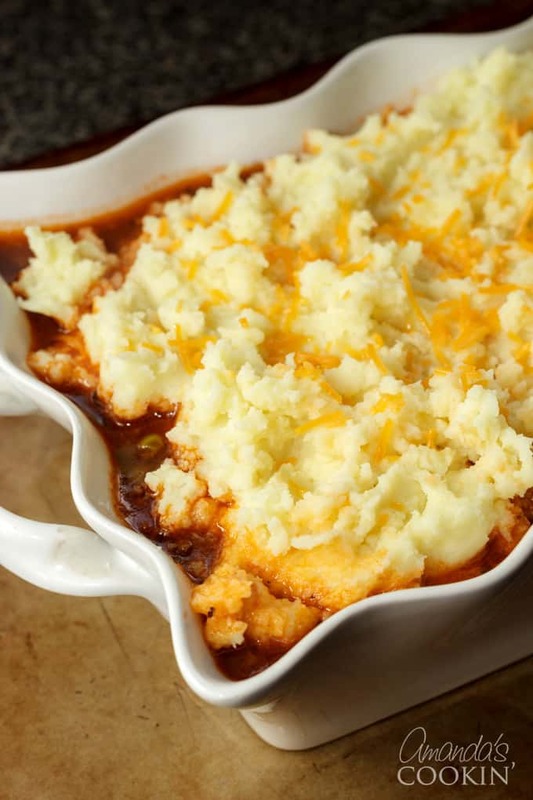 There is now a popular tendency for “shepherd’s pie” to be used when the meat is mutton or lamb, with the suggested origin being that shepherds are concerned with sheep and not cattle, however, this may be an example of folk etymology. I hope you enjoy this Shepherd’s Pie recipe as much as my family and I do. Throw in any extra ingredients you enjoy to make this classic meal even more comforting! 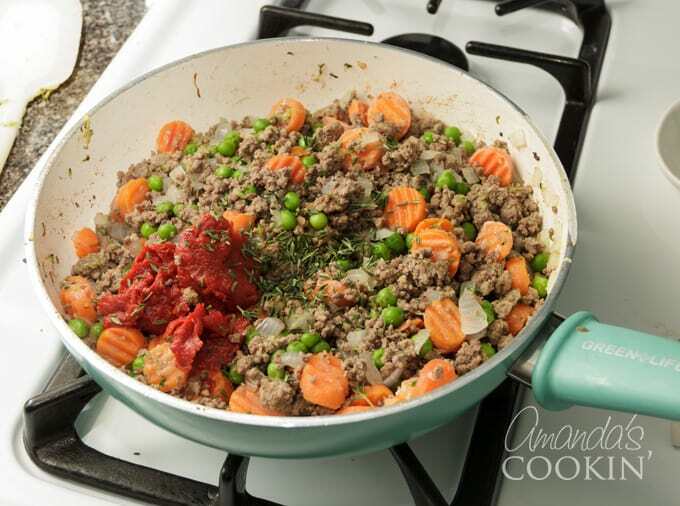 Check out the video below for this Shepherd’s Pie! 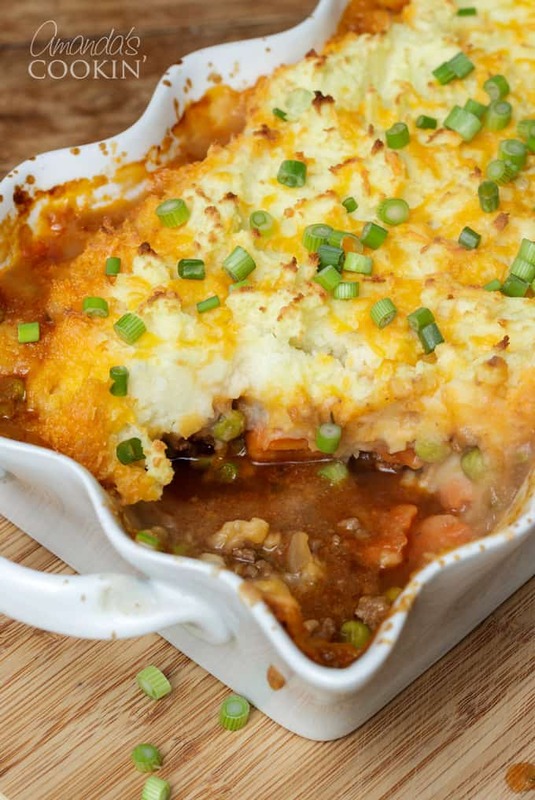 This recipe for Shepherd’s Pie makes a perfect casserole meal for any night of the week. 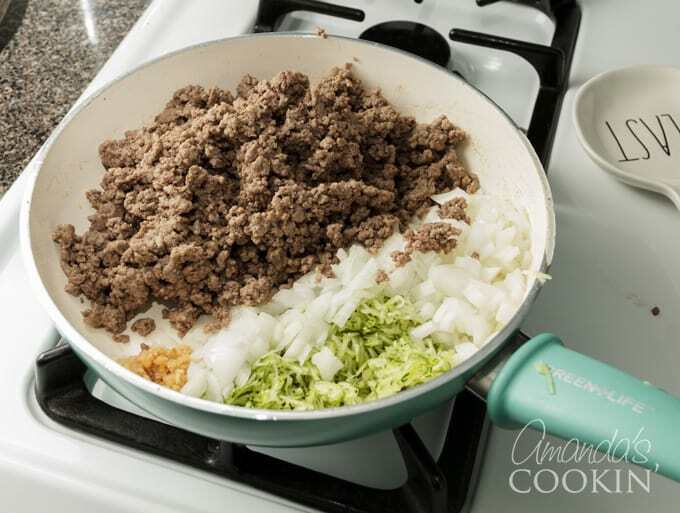 In a large skillet, brown the beef until no longer pink. Drain off excess grease. 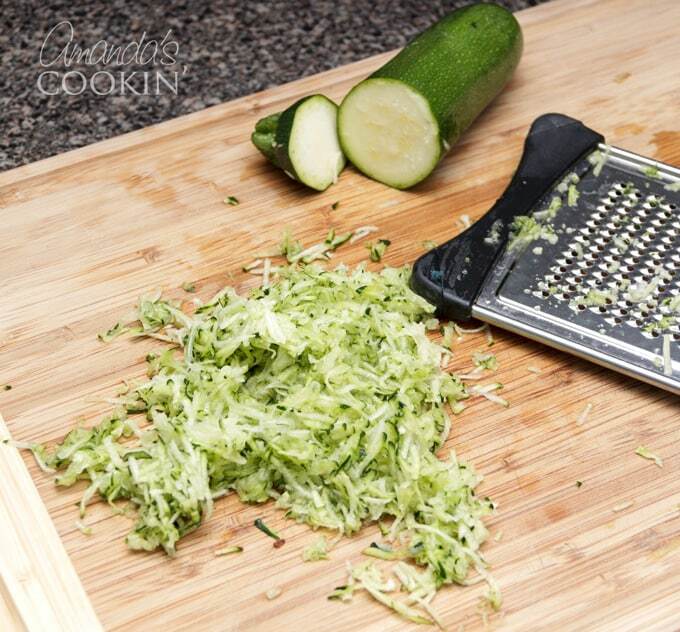 Add onion, garlic, and zucchini and saute for 3-5 minutes. 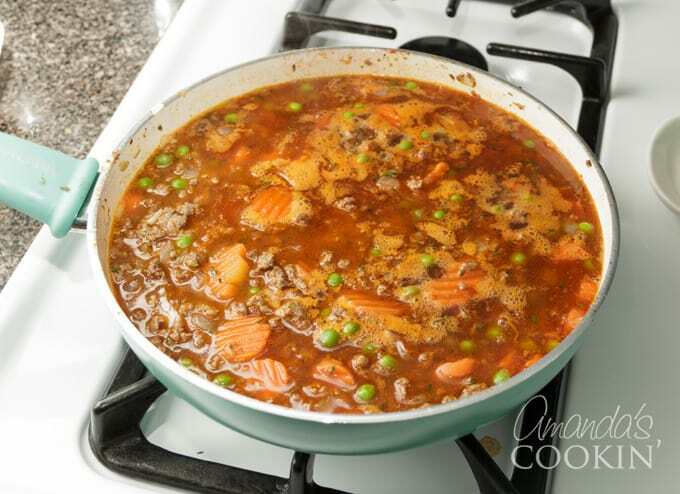 Add carrots and peas and stir together. Alice you are absolutely right. Shepherd’s pie is made with lamb and cottage pie with beef. Take it from a Brit! If you have never had lamb start out with the chops first. You are in for a treat. I cut back on the stock by one cup and added a cup of stout. This is a real nice recipe. Can you tell me why we can’t find mutton ( a sheep that is older than 3 mons.) in the super market? We love lamb but it is sorta expensive. I’m sure mutton would be less expensive than lamb or Spring lamb (7 weeks or younger). I’m sure the availability of mutton is dependent on the area you live in. You may be better off looking up local farmers. :) So glad you enjoyed the recipe! Made this tonight following the recipe as written except only one pound of hamburger and slightly more cheese. Turned out great and will definitely make it again. No one would ever know there was zucchini in it!! Served it with carrots and a tossed salad. Thanks for the recipe. I love the hidden zucchini too! I substitute a can of green chilis for the zuchini for a little added zip. 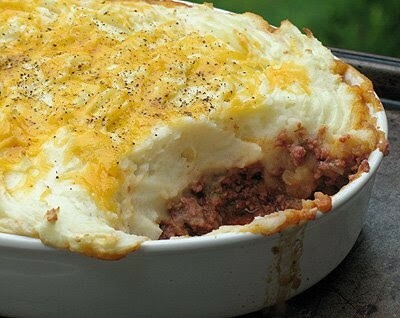 As a ‘Shanty Irishman’ from New York City, I grew up eating and making Sheppard’s Pie. This is real peasant food and believe it or not, lamb was the cheapest meat you could buy. Olive oil, tomato paste and parmesan cheese came from the other side of 31st Ave.; the Italian neighborhood. Since lamb is very lean, we started off, as with almost everything else, with bacon fat. Then it was nothing more then carrots, peas, onions, potatoes, sharp white cheddar cheese, cream and butter, herbs and Worcestershire sauce; when we could afford it. Can you believe I’ve never eaten lamb? I’d actually like to try the traditional version. the way you make it is wrong ! ithas only 3 ingredients : ground beef. creme corn , and mash potato a bit of parsil and paprika on the mash potato before putting in the oven. it’s been past on are 5 generations in my family . Hi Linda. The way I make it is not wrong ;) Shepherd’s Pie and Cottage Pie started out as a way to use up leftover meat topped with potatoes. There is no original recipe, other than that. What you are describing is a regional adaptation of the pie made many years ago, so is mine. Neither are wrong. Yes you are right that’s the the way my grandmother made it. 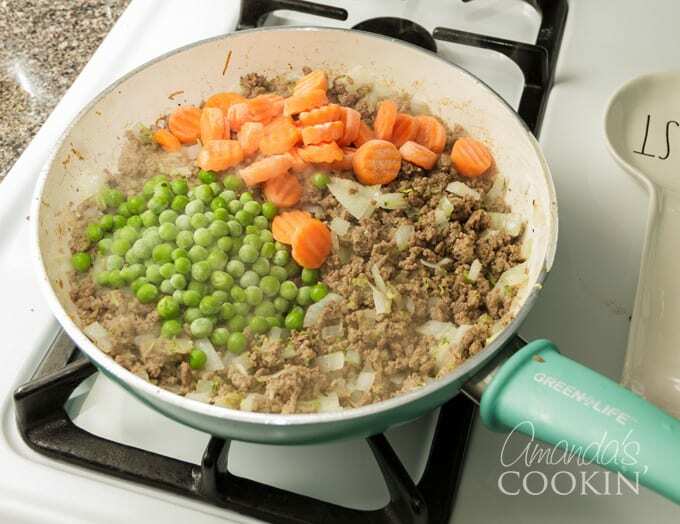 This is almost like mine I just add peas and carrots diced. Have seen some recipes that do not sound anything like the shepherds pie I grew up with in England. I make it for my friends here in the states all the time and they love it. Thanks for sharing the real recipe. Hi Pam. Yes it’s one of those recipes that has been adapted by many. That’s actually the beauty of Shepherd’s Pie and Cottage Pie is that everyone makes it their own. Your version sounds great also and I will be trying it real soon, only one question though, what spice would you use in place of the thyme? I don’t like thyme.(Sorry). I have been wanting to make shepherds pie for quite some time now. I finally made it last night. I love shepherds pie and have since I was a little girl, which, was many, many, many years ago. This is the first time I have made it since I left home when I was 18 yrs. old. It was even better than I remembered. I browned the ground beef with onion and garlic powders, salt and pepper, bacon bits, and worcestershire sauce. Drained the fat and used the same pan and fried up some peppers, onions, celery with a little bit of real butter, little bit of oil, minced garlic, salt and pepper only until starting to carmalize. Layered that over ground beef then put a layer of canned sliced mushrooms,another layer of canned mixed vegetables, a layer of 3 small cans of cream of mushroom soup(undiluted), then the mashed potatoes. when cooked add Rague cheddar cheese sauce on top of potatoes. OH SOOOO GOOOOD!!!!!! I was so happy when I came across this recipe . I am 88 years old and and I still love it. 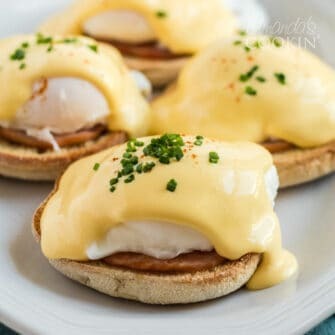 It is so easy to make ,but oh so very good.My Mom used to make it and we all looked forwawrd to the night it was on the menu.Thank you for publishing it. I’m so glad Louise! I make it all the time, so good!